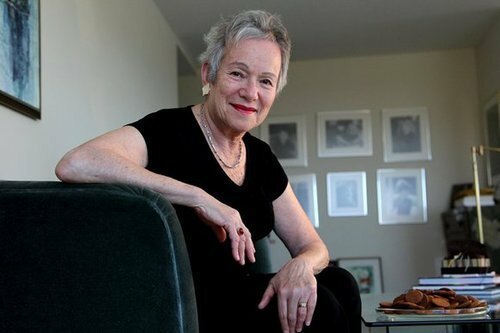 The blog of the Antioch Review recently featured Edith Pearlman on how her short story “Decorum” (Fall 2013 issue) came into being. Edith sat down with novelist Carrie Brown, on behalf of The Howard County Poetry and Literary Society of Columbia, MD, to talk about influential writers and how her past as a computer programmer “connects to the brevity and economy of her short stories.” Take a few moments and watch the wonderful interview. 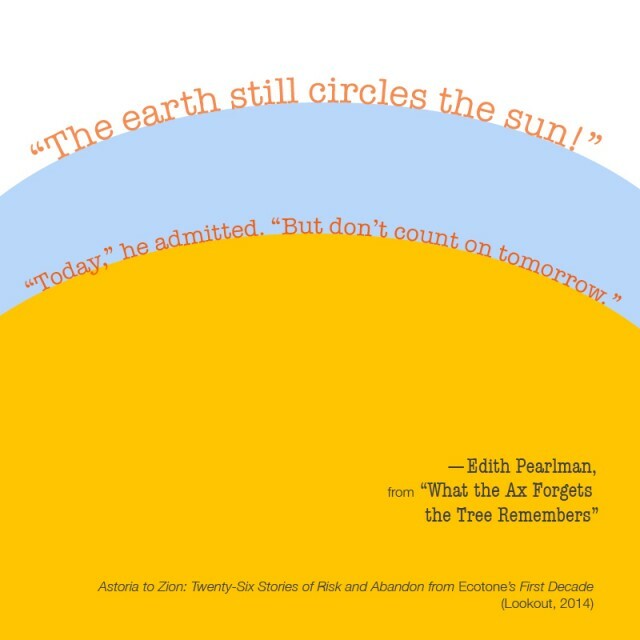 I first read Edith Pearlman’s “What the Ax Forgets the Tree Remembers” when considering it for the Abnormal Issue of Ecotone, in which it found its first home. I remember being excited by its boldness, made to feel uncomfortable at moments, and ready to fight for it to appear in the pages of the magazine. At the time, I was twenty-three, in UNCW’s MFA program, and feeling a little out of my league. I was also dating a woman for the first time, and coming to terms with my sexuality. Reading Pearlman’s complicated characters felt almost essential to me, and the story’s ending stayed with me long after—a piece of wisdom I’ve often returned to. The story follows fifty-year-old Gabrielle on a path of self-discovery after she uncharacteristically volunteers for the local chapter of The Society Against Female Mutilation, an organization that hosts testimonial-driven seminars in church basements and hotel meeting rooms. A petite and attractive woman, Gabrielle “was without her high-heeled shoes only in the bath.” Before her sudden philanthropy, her only responsibilities in life included her concierge job at The Devlin Hotel and the “half-crippled aunt back in Pittsburgh” she visits annually. 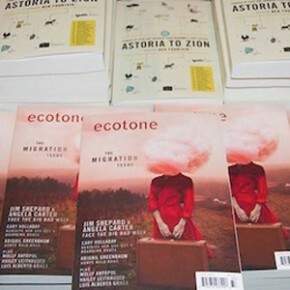 Excerpted from “Alamo Plaza” from Astoria to Zion: Twenty-Six Stories of Risk and Abandon from Ecotone’s First Decade. Copyright © 2014 by University of North Carolina Wilmington. 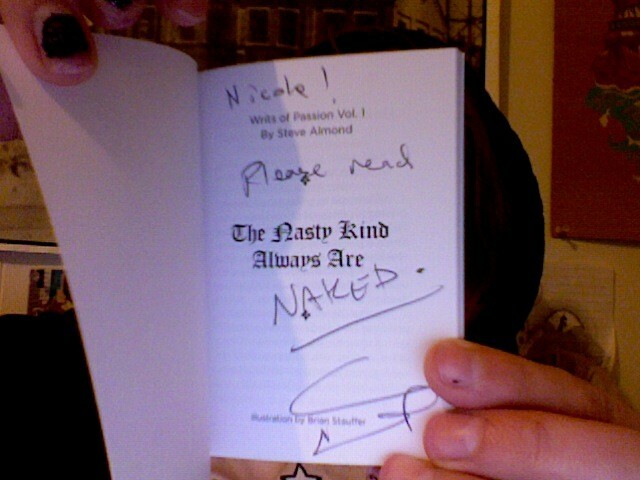 Used by permission of Lookout Books. All rights reserved. No part of this excerpt may be reproduced or reprinted without permission in writing from the publisher. Be sure to check out the rest of the article to read more about Binocular Vision as well as the other Sunday Times picks. As we begin to prepare for the upcoming AWP conference in Seattle, we just can’t forget about Boston. 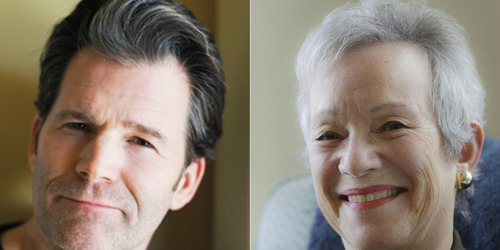 In case you missed it, here’s a highlight from the conference featuring Andre Dubus III and our very Edith Pearlman reading and discussing their work. Thanks to The PEN/Faulkner Podcast Series for making this available! Check out the podcast and look for us in Seattle! Lookout is proud to announce that poet and Lookout author John Rybicki will be heading out on a North Carolina tour this coming week. The tour, made possible with generous support from the North Carolina Arts Council, will include stops at oncology centers, a library, and a bookstore. 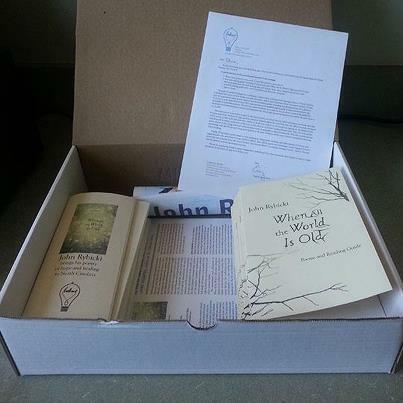 Planning this tour for John has been such a pleasure, and we are so excited about creating some new platforms for him to read his incredible work and to share his powerful messages of grief, hope, and healing. On the evening of Sunday, April 7, John will be a guest on “That Cancer Show,” which airs from 8 – 9 p.m. on WPTF 680 AM in Raleigh-Durham-Chapel Hill and WSJS 600 AM in the Greensboro-Winston Salem-High Point area. You can listen to the program on the “That Cancer Show” website: http://www.cancersupport4u.org/that-cancer-showtrade.html. “That Cancer Show” is a program from Cornucopia Cancer Support Center in Durham. 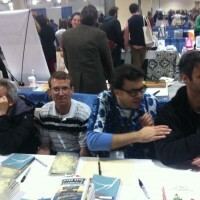 Now that we’ve had some time to recover from AWP 2013, here’s a little photo recap of our time in Boston. 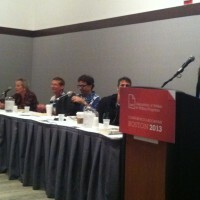 We had several great panels, including a tribute to Edith Pearlman, a talk on successful indie publishing, and our own four debut Lookout authors reading together for the first time. 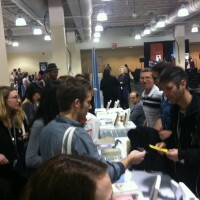 They also signed books at our booth and got to talk with all our loving readers. —Edith Pearlman, on her early writing career. Read more on the Boston Globe Web site.